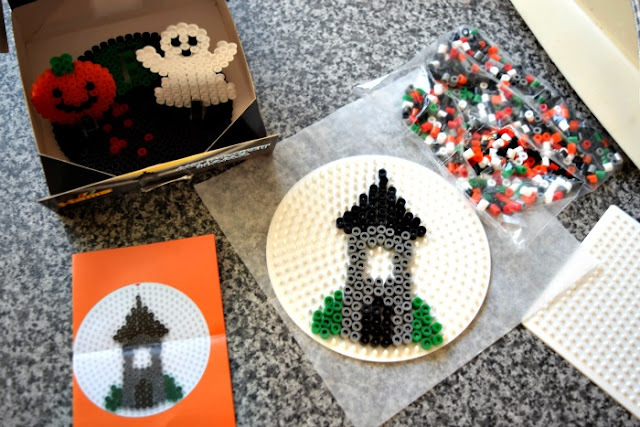 Last year me and Gracie made some great Hama bead Halloween decorations and I decided to write a quick blog post showing our great Hama creations. 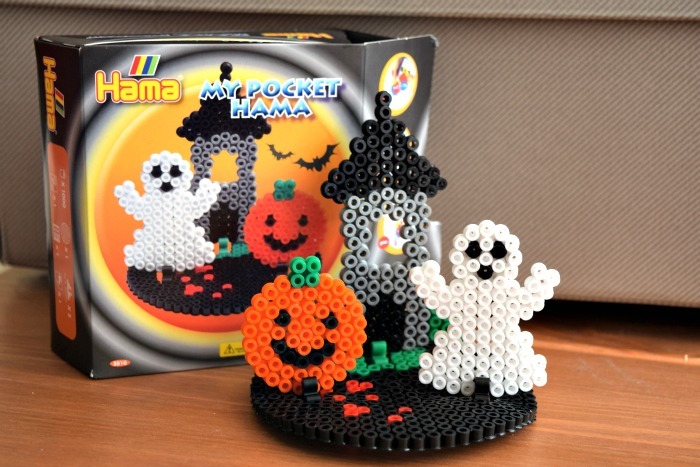 As it was a pretty popular post, I planned to do more this year, then we were offered a great Halloween Hama kit to review which I thought was an even better idea. The kit contains everything you need to make a great stand up Halloween scene. The kit contains 1000 midi sized beads, 1 medium round pegboard, bead supports, one sheet of ironing paper and a little booklet showing how to make each figure. The pegboard actually has an arrow indicating the top of the board to ensure you get the pattern just right. 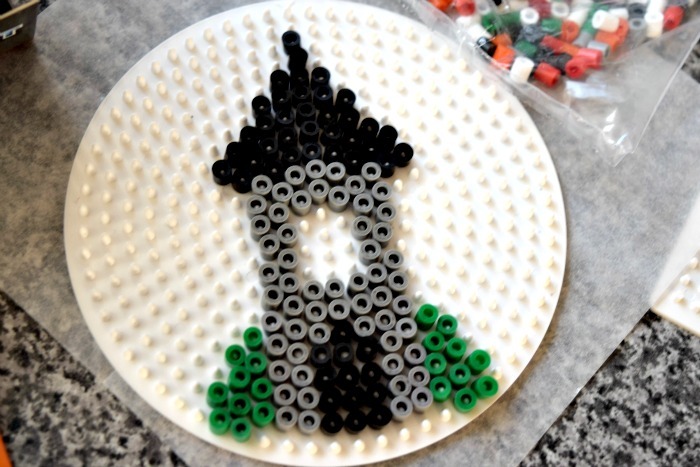 It is a really easy guide to use and you actually get way more beads than you need to finish the project. The guide shows you how to make a tower, ghost, pumpkin and a stand to place them all on. The stand is designed to have openings perfectly sized to fit the bead supports in to hold up the tower, pumpkin and ghost. The kit is aimed at ages 5+ but I have been making Hama creations with Gracie since just before she turned 4 and find that it is a great supervised activity and I just don't allow her near the iron whilst ironing the creations.